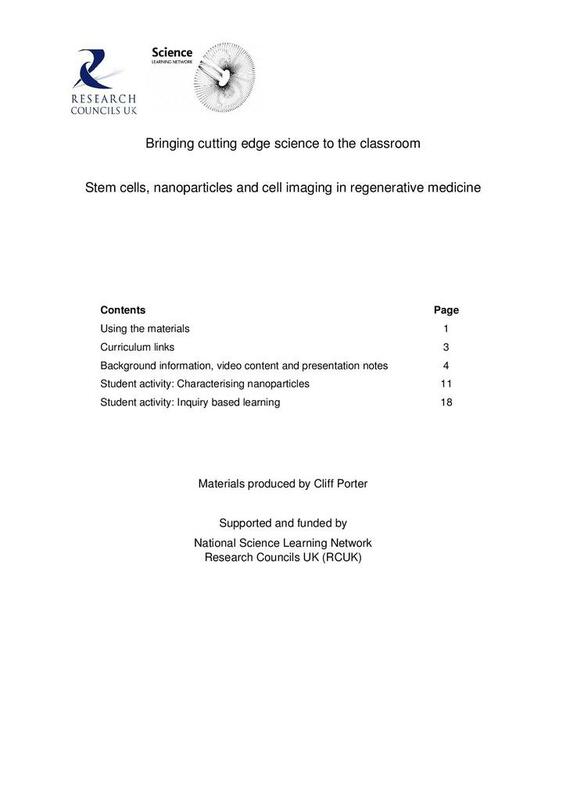 Produced in 2015, these resources look at research involving the use of nanoparticles and fluorescent proteins to track transplanted stem cells in living organisms. 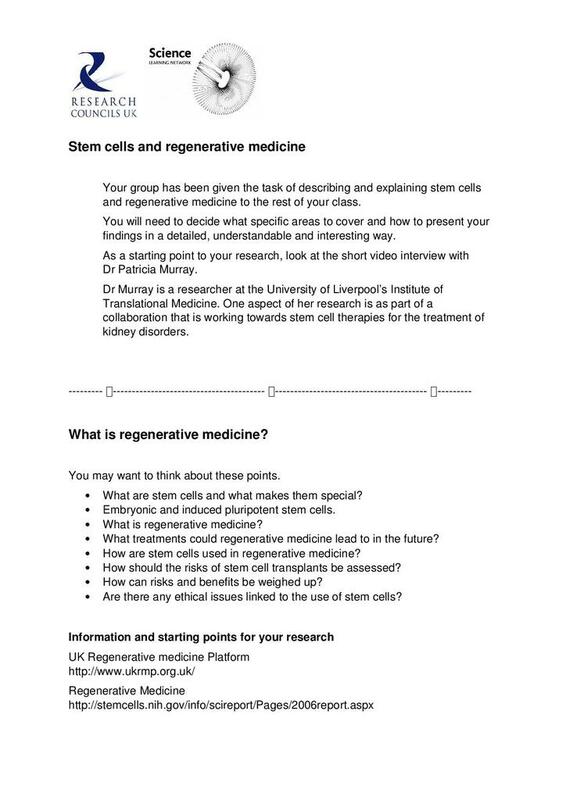 Each video interview lasts approximately five minutes and is a quick way of gaining information about regenerative medicine. 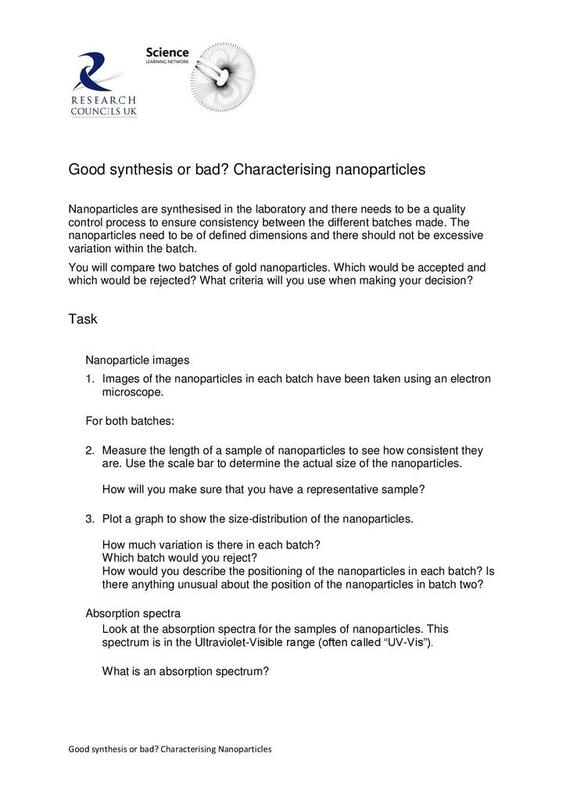 In the activity Characterising nanoparticles, students interpret images of two batches of nanoparticles and plot graphs of their size distribution to assess the quality of each synthesis. They then compare their data with corresponding absorption spectra. *Tracking transplanted stem cells with fluorescent proteins. For each group there are two parts to the stimulus materials. 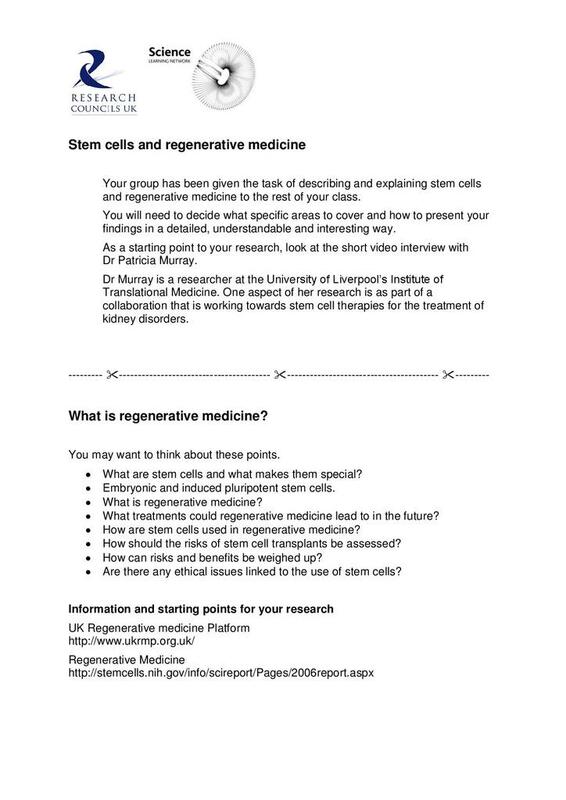 The first part simply sets out the question for each group to research. 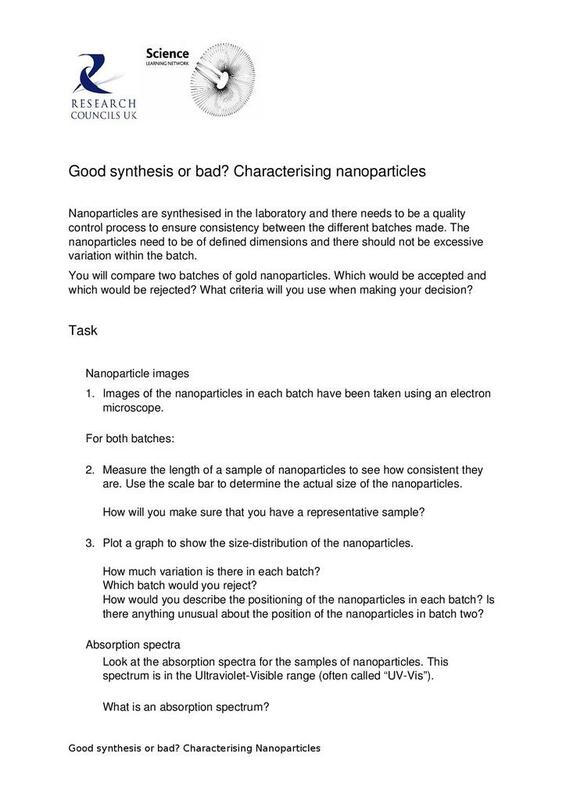 Little additional guidance is included and this is suitable for the most able students, or those with experience of similar research tasks. 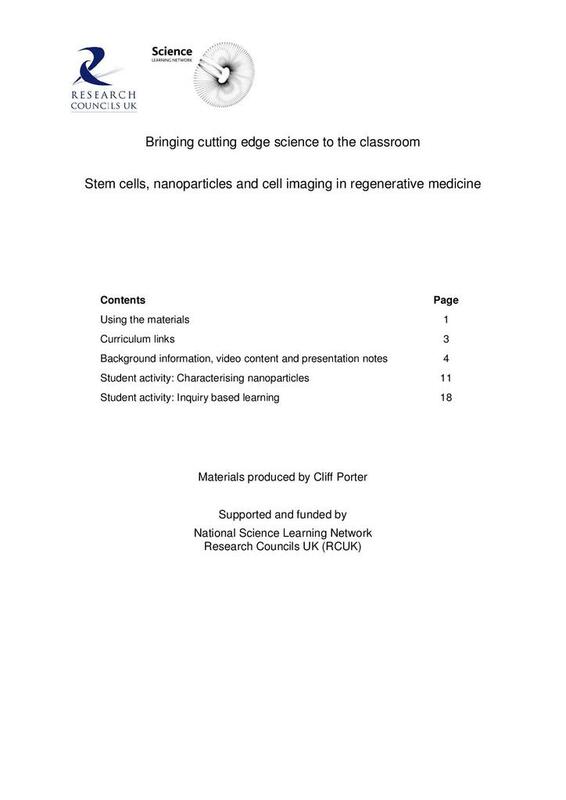 Should additional guidance be desirable, a second part provides a breakdown of the areas students may wish to include in their research and some information sources.